Dr. Danial Kahrizi obtained his M.Sc. and then received his Ph.D. from Tarbiat Modarres University, Tehran/Iran. He is member of editor board for various journals. He also has international presentations. 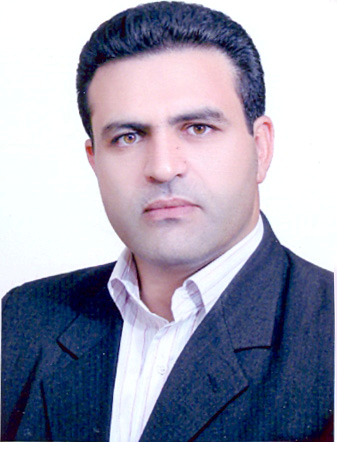 Presently he is an Associate Professor in the department of Agronomy and Plant Breeding, Razi University, Iran. Plant Biotechnology; Plant Breeding; Statistics; Genetics. 1. Heidari, H., Kahrizi., D. (2016). Effect of water stress and contaminated water on seed germination traits and early growth in maize (Zea mays). Environmental Engineering and Management Journal. Accepted. Online first. 2. Darvishi, E., Kahrizi, D.,Bahraminejad, S., Mansouri, M. (2016). In vitro induction of α-pinene, pulegone, menthol, menthone and limonene in cell suspension culture of pennyroyal (Mentha pulegium). Cellular and Molecular Biology. 62(3): 7-9. 3. Kazemi, E., Kahrizi, D., Moradi, M.T. Sohrabi and Yari, K. (2016). Gastric Cancer and Helicobacter pylori: Impact of hopQII Gene . Cellular and Molecular Biology. 62(2): 107-110. 4. Kazemi, E., Kahrizi, D., Moradi, M.T. Sohrabi, M., Amini, A., Mousavi, S.A.R. and Yari, K. (2016). Association between Helicobacter pylori hopQI genotyping and human gastric cancer. Cellular and Molecular Biology. 62(1): 6-9. 5. Kazemi, Kahrizi, D., E., Moradi, M.T., Sorabi., Amini, S., Mousavi, S.A.R., Yari, Kh. and (2016). Association between Manganese Superoxide Dismutase (MnSOD Val-9Ala) genotypes with the risk of generalized aggressive periodontitis disease. Cellular and Molecular Biology. 61 (8): 49-52. 6. Esmaeili, F., Kahrizi, D., Mansouri, M., Yari, K., Kazemi, N., Ghaheri, M. (2016). Cell dedifferentiation in Stevia rebauiana as a pharmaceutical and medicinal plant. Journal of Reports in Pharmaceutical Sciences. 5(1): 12-17. 10. Kahrizi, D., Rostami-Ahmadvandi, H., Akbarabadi, A. (2015). Feasibility Cultivation of Camelina (Camelina sativa) as Medicinal-Oil Plant in Rainfed Conditions in Kermanshah-Iran\'s First Report. Journal of Medicinal Plants and By-products, 2: 215-218. 11. Kazemi, E., Moradi, M.T., Yari, Kh., Mousavi, S.A.R. and Kahrizi, D. (2015). Association between Manganese Superoxide Dismutase (MnSOD Val-9Ala) genotypes with the risk of generalized aggressive periodontitis disease. Cellular and Molecular Biology. 61 (8): 49-52. 12. Ismaili,A., Yari, K., Moradi, M.T., Sohrabi, M., Kahrizi, D., Kazemi, E., Souri, Z. (2015). IL-1B (C+3954T) Gene Polymorphism and Susceptibility to Gastric Cancer in the Iranian Population. Asian Pacific Journal of Cancer Privation, 16 (2): 841-844. 13. Sohrabi, M., Zebarjadi, A., Najaphy, A., Kahrizi, D. (2015). Isolation and sequence analysis of napin seed specific promoter from Iranian Rapeseed (Brassica napus L.). Gene. 563(2): 160-164. 14. Dehghanian, F.,Kay, M., Kahrizi, D. (2015). A novel recombinant AzrC protein proposed by molecular docking and in silico analyses to improve azo dye\'s binding affinity. Gene. 569(2): 233–238. 15. Yu, L.,Meng, Y., Shao, C., Kahrizi, D. (2015). Are ta-siRNAs only originated from the cleavage site of miRNA on its target RNAs and phased in 21-nt increments? Gene, 569(1): 187-194. 16. Soorni, J., Kahrizi, D. (2015). Effect of genotype, explant type and 2,4-D on cell dedifferentiation and callus induction in cumin (Cuminum cyminum L.) medicinal plant. Journal of Applied Biotechnology Reports. 2(3): 265-270. 17. Minaei, H., Kahrizi, D. and Zebarjadi, A. (2015). Effect of Plant Growth Regulators and Explant Type upon Cell Dedifferentiation and Callus Induction in Chickpea (Cicer arietinum L.). Journal of Applied Biotechnology Reports. 2(2): 241-244. 19. Bardideh, F., Kahrizi, D. Ghobadi, M.E. (2015). Interaction between the different irrigation regimes on grain weight and Nigella sativa seed essential oil percentage (Nigella sativa L.). Gazi Univertesi Gazi Egitim Fakultesi Tesi Dergisi. 4(7): 1-11. 20. Bardideh, F., Kahrizi, D. Ghobadi, M.E. (2015). Studying Reciprocal Effects of Different Sorts and Regimes of Irrigation on Operation of Seeds and Biologic Nigella Sativa L. Gazi Univertesi Gazi Egitim Fakultesi Tesi Dergisi. 4(7): 1-8. 21. Bardideh, F., Kahrizi, D. Ghobadi, M.E. (2015). Investigating the interactions between the different irrigation regimes on the number of branches per plant Nigella Sativa (Nigella sativa L). Gazi Univertesi Gazi Egitim Fakultesi . 4(7): 1-8. 22. Molsaghi, M., Moieni, A. and Kahrizi, D. (2014). Efficient protocol for rapid Aloe vera micropropagation. Pharmaceutical Biology. 52(6): 735-739. 23. Taravat, E., Zebarjadi, A.R., Kahrizi, D. and Yari, K. (2014). Isolation, cloning and characterization of a partial novel aro A gene in common reed (Phragmites australis). Pharmaceutical Biology. 4: 1-5. 24. Rahimi, A. Mirmoayedi, A.N., Kahrizi, D., Abdolshahi, R., Kazemi, E. and Yari, K. (2014). Microsatellite genetic diversity of Apis mellifera meda skorikov. Molecular Biology Reports. 41: 7755-7761. 25. Kahrizi, D.(2014). Reduction of EPSP synthase in transgenic wild turnip (Brassica rapa) weed via suppression of aroA. Molecular Biology Reports. 41: 8177-8184. 26. Darvishi, E., Kazemi, E., Kahrizi , D., Bahraminejad, S., Mansouri, M., Chaghakaboudi, S.R. and Khani, Y. (2014). Optimization of callus induction in Pennyroyal (Mentha pulegium). Journal of Applied Biotechnology Reports. 1(3): 97-100. 27. Yari, K., Mirmoayedi A., Marami, M., Kazemi, E. and Kahrizi, D., (2013). Genetic diversity analysis of chrysopidae family (insecta, neuroptera) via molecular markers.Molecular Biology Reports. 41:6241-6245.